Typical! You wait months for a London beer week, then two come along at once… First up is DrinkUp.London's London Beer Week 2016 on 22nd-28th February. This is hubbed at the Old Truman Brewery on Brick Lane in the East End. Here you can buy £10 wristbands which get you access to special beers at 100 bars around the city – you still have to buy the beer, mind! 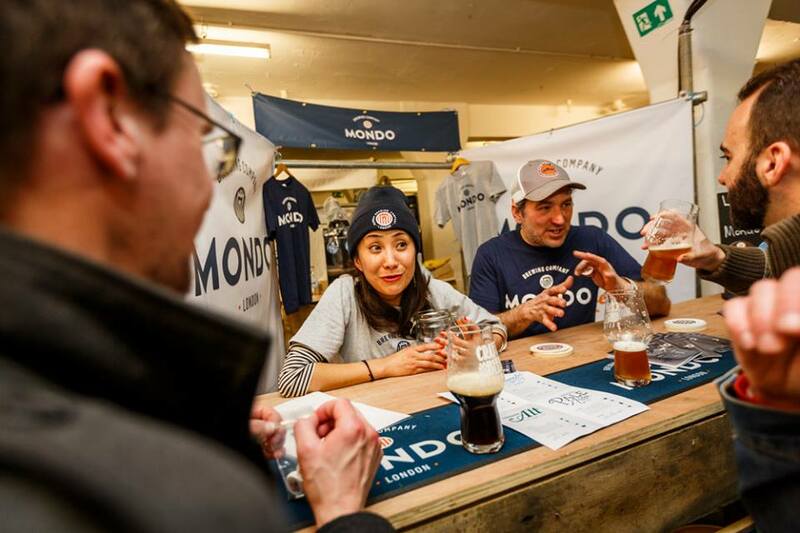 Then on the Friday and Saturday of that week (Feb 26-27th) comes the week's anchor event: Craft Beer Rising London, also at the Old Truman Brewery. There's over 150 British and overseas breweries due to take part with 600ish beers, plus this year they're adding a cider zone called 'Lost in Cyderspace' and rooms for mead, rum and whisky. CBRL tickets are £15 to £20 per six-hour session; this covers your glass, programme and musical entertainment, but not the beer – it's cash bars. Then today comes notice of this year's London Beer City week and its anchor event, the London Craft Beer Festival, on August 12-14th in Bethnal Green. This is an altogether more bijou (and comfy) event, with 26 breweries taking part last year (this year's brewery list is due out in April), but it also works rather differently. LCBF tickets are twice the price of CBR (currently £35ish per five-hour session) but they include unlimited tasters of all the beers, as well as music, glass and programme. I suppose it all comes down to whether you think 50-100 beers is enough to try or you'd prefer a choice of 600, plus whether you think you can drink £20-worth in five hours…. The one thing that raised a smile here was the LCBF assertion that “Once again we'll be the central part of the London Beer City week in August.” I presume the organisers are once again glossing over the fact that their event clashes with an ever-so-slightly larger one just across town. But hey, the Great British Beer Festival only has a mere 1000-ish beers, ciders and perries to choose from. Then again, GBBF probably won't feature too many keg Double IPAs, Pink Peppercorn Saisons and the like. Plus I suspect the GBBF organisers don't really feel the need to link up with the crafterati of London Beer City! Whatever, GBBF is on at Olympia from August 9th-13th, day tickets are £9/£11 (members/non-members) or £24/£29 for a season ticket – the latter usefully includes the Tuesday afternoon trade session that's not otherwise open to the general public. I have just downloaded the beer list for Craft Beer Rising. I’m not sure I’d class Hacker-Pschorr and Paulaner (aren’t they the same company? ), as “craft beer” brewers. The same applies to Guinness! Hah! So true... Must admit I only scanned quickly over the brewery list and didn't drill down to beer level - I guess they were hiding under a distributor? Yes, Paulaner owns HP and my local informant says that - with the exception of microbrews from the new Hacker-Pschorr Brauhaus, they all come from the same brewery. HP is still a separate company, that's all.